Abcom Rents is one of our long standing prestigious clients, Pulse has built several web systems, brochures and custom art work projects for the corporation. Abcom Rents stocks one of the largest and most diverse computer equipment rental stores in the greater Chicago area. Often Abcom rents computer equipment for trade shows and events where products and services are demonstrated, they felt a need for an application that could be used to demonstrate the products and services on a touch screen. Pulse Solutions has built up touch screen kiosk software for Abcom engineers to quickly and effortlessly create an interactive presentation on site and have the users review sales messages as well as access the internet from the application as well. The system allows for all kinds of media including images, videos, audio and MS Office file formats to be displayed for a configurable time period. A timed approach ensures internet usage includes advertisements posted at regular intervals. 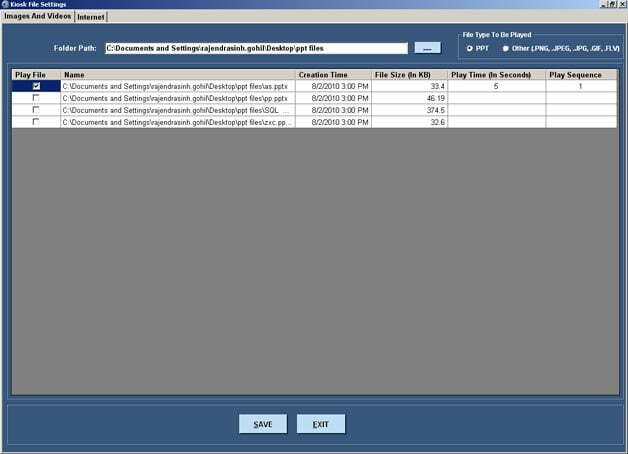 Pulse engineers used .Net 3.5 with a simple and versatile XML backend to build the application. We excel at kiosk application development that often includes creative use of technologies like Flash, Adobe AIR, AJAX and .Net Framework. Contact us for your Kiosk application development needs.